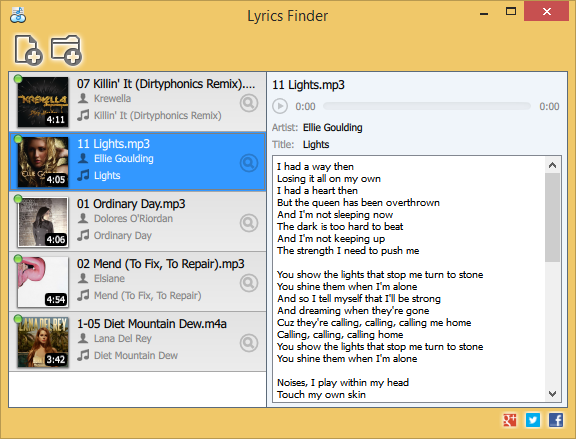 MediaHuman Lyrics Finder is a free software which can help you to find and add missing lyrics to all songs in your music library. Simply drag\'n\'drop some tracks from your favourite music player and MediaHuman Lyrics Finder will do the rest. FairStars CD Ripper is a powerful software for ripping audio CD tracks to WMA, MP3, OGG, VQF, FLAC, APE and WAV formats files on-the-fly. Free CDDB is supported(Querying&Submiting). It supports normalization when ripping, and also support ID3 tag.